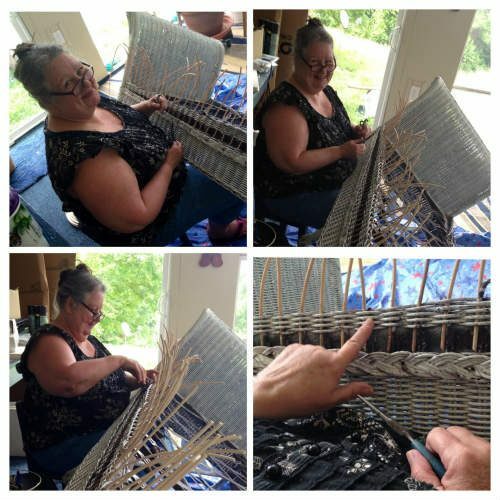 The Wickerfixer and Chair Recaner’s owners Cheri and Mike Russell in Ozark, Missouri have served the antique wicker furniture world nationwide since 1976. They are also mentioned in all of Richard Saunders’ antique wicker books and price guides. They specialize in minor to major restoration of wicker furniture, and all types of chair seat weaving, hole & pressed cane, rush, splint, Danish cord, herringbone, and seagrass weaving. 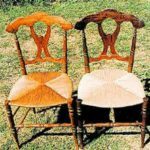 Family heirloom restoration is their specialty! They buy and sell at shows and through http://www.WickerFixer.com shop. 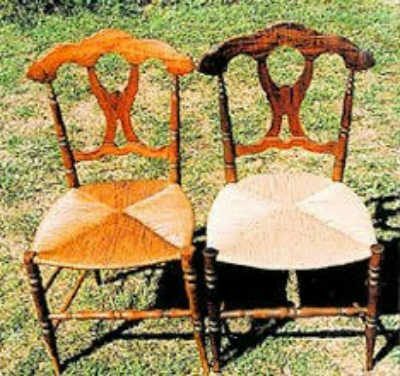 The Wicker Fixer will locate that special piece of furniture for you, paint your wicker and even travel to do on-site wicker repairs! Pick-up and delivery service is available, call for areas covered, and remember shipping is an option, too. Judging from their slogan “Get your dog chewed, cat clawed, bird pecked, family abused, wicker fixed today!” The Wicker Fixer can do just about anything for your wicker and cane furniture.